Nurses play an extremely important role in our daily operations at St. Luke's Medical Center. They are the ones who provide immediate and ongoing care and make sure that patients are having the best possible experience at our hospital. We're currently looking for compassionate and caring individuals with some experience to work as registered nurses and licensed practical nurses in a number of crucial departments. Employees with RN jobs will offer direct care to patients in our hospital - from establishing a treatment plan for patients, which can include everything from administering medication to assigning the proper course of therapy, to educating patients and their families about ways to manage and treat illnesses. Depending on your interests and experience, we have opportunities in a number of crucial departments. Whether you want to help the elderly in the Dr. Tafur Generations Program (geropsych unit) or help those undergoing surgery in the operating room - we have a position for you. 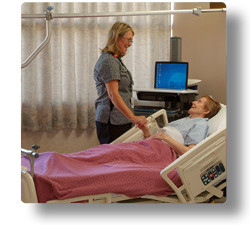 Depending on the department, most RN positions require at least one year of registered nursing hospital experience in a related clinical area; an Arizona Registered Nursing license in good standing, or the ability to obtain one; and professional certifications required by the department (which may include Basic Life Support, Advanced Cardiac Life Support, Pediatric Advanced Life Support, or others). We also occasionally hire experienced employees for LPN jobs in our Dr. Tafur Generations Program (geropsych unit), which combines medical and surgical care with behavioral care for the geriatric population. LPNs can help implement the treatment plan and participate in the patient’s care based on their licensure and job description.